When I first entered the field of software development, in order to become a so-called expert, we needed to learn a handful of technologies. It was challenging, but it was doable. So when do you learn all of this? Just-in-time. So how do you keep up with all these tools and technology? Well, you can anticipate everything you’d think you’d need to learn, but aside from a few educated guesses, you’d have to be a clairvoyant to keep up with the changes in our field. It’s often like using a waterfall SDLC. I don’t think it’s really works anymore. There are too many unseen forces working just under the radar, and you’ll constantly be blindsided. How do I keep up with this stuff? Just-in-time learning. For the most part, I learn as I go. Since most new tools we need to use build upon the core concepts we’ve built up over our experiences, the learning curve is usually not so large for adding something new. Part of my strategy is using supplemental learning to build up that core skill set, which I’ll discuss as well. Research: Unless you have a team leader assigning which technologies to use on a project, you’ll likely be involved in researching the best solution for a particular requirement. For example, we wanted to start our project by using a framework to help drive the look and feel of our web apps, so we started comparing such tools. We decided upon Twitter’s Bootstrap framework. I watched intro tutorials, read reviews, viewed sample code, and experimented with the samples. Video (Passive): Once I’ve decided what I want to learn, I usually start by watching a series of videos on the topic. Pluralsight and Lynda.com are my favorite choices for an intro of some of the most common technologies and tools, although more obscure or new tools may not (yet) be covered. YouTube is another great source for tutorials. Of course, strongly supported tools may have their own video tutorials, although I usually find those lacking. It seems to be an afterthought for a lot of companies, and production is often poor or inconsistent. Since, in my role as a consultant I’m expected to be an expert on the tools I’m using (unless a new technology is dictated by the client), I normally use my breakfast time before business hours to watch these videos. It allows me to absorb myself into the technology in a passive manner, which helps get me acquainted before diving in hands-on. If you’re lucky enough to attend a local user group meeting on the topic, that’s also a great way to get an intro as well as allow for direct Q&A. But it’s rare to have such perfect timing, unless the technology you’re about to use is the new “flavor of the week,” and the rest of the world is learning about it at the same time. Video (Active): Although I’m still in more of a passive state of mind at breakfast, by lunch I’ve usually been in coding mode, so this is a good time to re-watch parts of the video and actually try out some of the examples being discussed. Although video is great for pausing and rewinding, it’s a bit awkward to pinpoint the exact locations of what you want to re-watch, so if example files are available for download, I prefer playing around with those. Be careful, though, since it’s too easy to have the examples do the work for you, since they’re usually already fully written. Without the hands-on (read: typing in yourself), it usually won’t sink in as quickly. Google / Bing == Stack Overflow: As you play around with examples, you’ll likely have some questions that aren’t yet explained by the point you’ve reached in the video course. I normally find that it’s easier to search for answers to my questions instead of trying to find it in the tool’s documentation (if it even exists). Since the best search results usually end up at Stack Overflow, I spend a lot of time reading answers there. Keep a close eye on the timestamp of the answers, though. They may be outdated. But if it’s a good answer, it may also have a direct link to the part of the documentation you’ll need. Web Articles (Blog and Otherwise): When it comes time to dive into a specific piece of the technology I’m trying to use while learning, I start focusing on specific online articles. Several years ago, I’d save and read magazine articles. Well, I mainly saved with the expectation that I’d eventually find the need to read some of those articles. I’d say that happened with 5% to 10% of those articles. But we don’t even need to do that anymore. Since many articles are available online, allowing for random access, the magazine is truly obsolete. I still subscribe to a couple, but I think that’s mainly to hold on to the memories of a foregone time. Besides, I’m sure they’re making the font on those things smaller every year. Or it’s my eyes 🙂 Seriously, I’d often start an article in a magazine, only to finish it online. Books: With all this JIT learning, there’s still that nagging feeling that you could be doing things better. I feel like that all the time, and it used to bother me. No longer. I’ve learned to become more pragmatic over the years. Job # 1 is to deliver a solid solution, making it as maintainable as feasible. But refactoring should be built into subsequent work, whether or not you do some refactoring during the TDD (or otherwise, unit test) process (if your shop encourages that — which it should). This is the time to supplement your knowledge with a deeper understanding and best practices in the technology and tool you JIT-learned. This is where books become useful to me. Even if a book is inherently a bit outdated, it’s still useful, because core concepts and best practices live longer than specifics. I rarely read technical books cover-to-cover anymore. I may read a few introductory chapters, but then I’d skim through specific chapters based upon where I’m focused. Deep-Dive Videos: But I usually reach for a detailed video course instead of a book. Pluralsight and Lynda.com have some deep-dive topics in addition to their introductory tutorials. I was very happy when Pluralsight incorporated Rob Conery‘s TekPub videos. I always felt that they complement the Pluralsight videos quite well, and focus more on the deep-dives. They’re usually opinionated, and they often focus on best practices, and make you really understand the topic in ways you’ve never thought of before. Watching someone code and think out loud at the same time is often as valuable as pair programming. Both sites (and there are others) are well worth the investment in your future. I also use the off-cycles to learn other technologies I predict with some certainty that I’d be using within the next year or so. For example, learning MonoTouch, GameMaker, and Unity in anticipation of implementing some app ideas and starting a new venture. 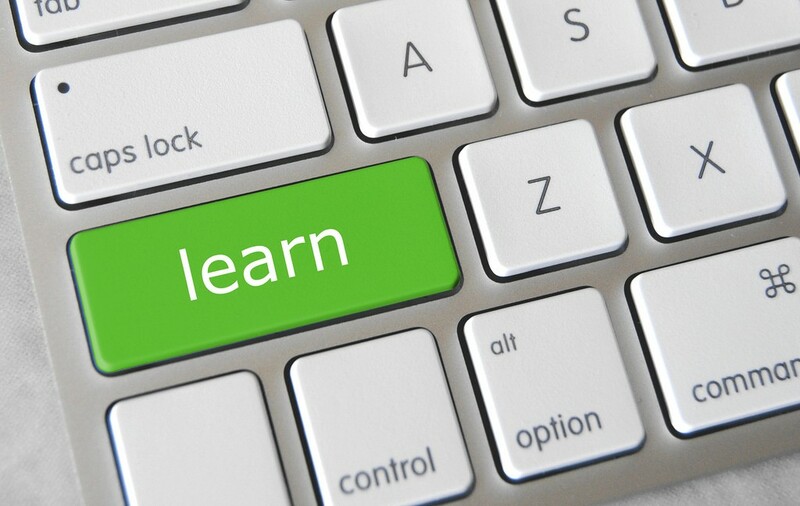 As developers, our education will always be an ongoing process. There is just so much to learn. We must develop a strategy just to keep up or get ahead of the game, yet remain current and productive. Although your strategy may differ from mine, hopefully I’ve provided some ideas to get you started. I found your blog today first time while searching for “MBA degree for developers”. I really liked your every blog so far, its like someone speaking out my head thoughts. Thanks a lot. stumbled across your article via twitter/thisdeveloperslife.